SEBASTIAN – The Indian River County Sheriff’s Office is receiving multiple calls about Creepy Clown sightings in Sebastian and Vero Beach. Last week, we reported on a Creepy Clown sighting in Palm Bay near Victoria Park. The sightings have been frightening people across the U.S., from Kentucky to Florida. On Wednesday, the first Creepy Clown sighting in Indian River County was reported. A woman was walking her dog in Vero Lake Estates, west of Sebastian, observed a person wearing a clown costume from behind a tree about 25 yards away. The woman ran back into her residence and lost sight of the clown. On Thursday, a man called to report a person dressed in a full clown suit chasing children at a bus stop in Vero Lake Estates. The man said his child was terrified as he departed from the school bus. 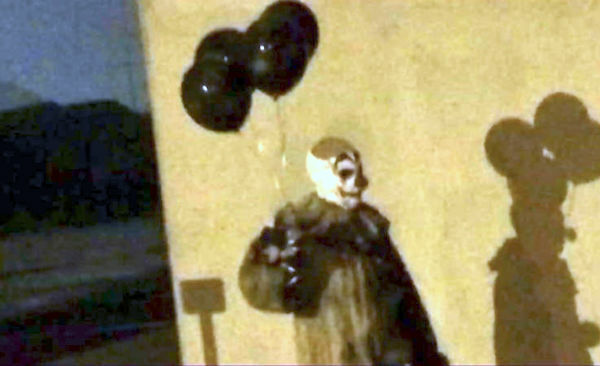 Later that day, another person called the police to report a person wearing a clown mask with a hooded sweatshirt in the area of Florida Ridge. The two children were counseled on their behavior by deputies, and the parents were notified of the incident. Later that night, another person called police about a clown spotted on Oslo Road. Two children on their bikes fled to report the incident and lost sight of the clown. “We are aware that these ‘Creepy Clown’ sightings have been reported in several states over the past couple weeks. At this time we ask residents of Indian River County to talk to your children about personal safety. Teenagers and young adults who may be perpetrating these incidents should be aware of the dangers associated with activity such as this,” Indian River County Sheriff Deryl Loar said. The Indian River County Sheriff’s Office takes these reported “Creepy Clown” situations very seriously. Please call 9-1-1 immediately if you see any suspicious activity.